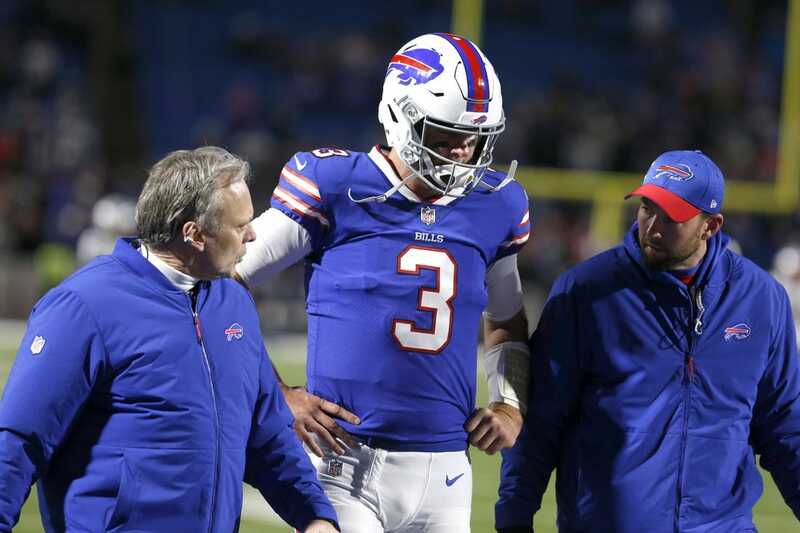 The Buffalo Bills have ruled out veteran backup quarterback Derek Anderson for Sunday's game against the New York Jets as he remains in the concussion protocol. Anderson was concussed late in a Week 8 loss to the New England Patriots and has yet to return to practice. Bills first-round draft pick Josh Allen practiced in a limited capacity this week as he returns from an elbow injury, but the team has yet to reveal whether he, Nathan Peterman or Matt Barkley would start on Sunday. Head coach Sean McDermott said on Wednesday the rookie quarterback has had no setbacks and "has done a good job so far." Allen told reporters he has felt good while throwing for the first time in weeks. With Anderson out last week, Peterman made his second start of the season and threw three interceptions, bringing his career total to 12 picks on 130 attempts. Peterman finished 31 of 49 for 189 yards, the lowest yardage total with at least 30 completions in a game in NFL history. Tight end Charles Clay (hamstring) and defensive end Trent Murphy (knee) were also ruled out on Friday.